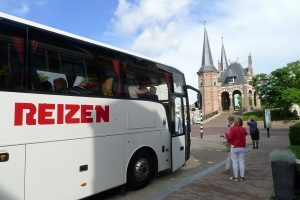 Are you visiting Friesland by coach? Great idea! Be surprised by the big variety of the Frisian landscape. From the densely forested Frisian woods in the south east to the panoramic views of the north west. And how about the Wadden Sea? The possibilities are endless. Our guides know the way through all of Friesland and will gladly accompany you on a discovery tour. Do you already have an idea about the route you want to take or do you need our advice? We will gladly help you develop a lovely and surprising tour. Call us or fill in the contact form.